I’ve got my Nintendo Wii U hooked up and I’m playing the Legend of Zelda: Battle Quest! Check out the live stream below, but be sure to head on over to our Twitch.TV channel to participate in the live chat! Do you have Battle Quest? 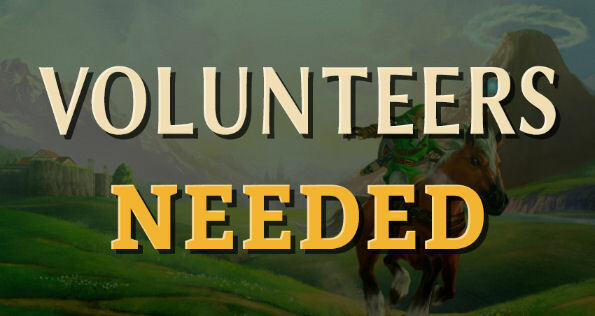 Come help us expand our game content over at our Zelda Wiki. UPDATE: The stream is now over. Be sure to follow us over at our Twitch.TV channel to get notified whenever we go live…. Earlier today, fan site Zelda Eternity posted their final schedule for their upcoming Zelda marathon. They are covering most of the same games that we covered in our own marathon earlier this year. Make the jump for their schedule info and information on how you can watch their marathon! The Live Stream is now over. Be sure to tune in throughout the week to see more Phantom Hourglass action. Follow us at Twitch.TV to get notified whenever we go live. Over the course of the next few weeks I’m going to be live streaming several playthroughs of the Legend of Zelda: Phantom Hourglass. During this initial playthrough, I plan on taking my time through the game, showing off all the cut-scenes, while also getting some of the side items….